Netflix's more than 100 million subscribers will have many new original shows to binge watch in the next few years. The company has $15.7 billion (yes billion!) in obligations committed to streaming content deals. Just last week, Disney (DIS) announced plans to start its own streaming service in 2019. The House of Mouse will eventually move many Disney movies and TV shows from Netflix to that new, yet-to-be-named streaming venture. But even though Disney owns the Star Wars galaxy, Netflix is the streaming media empire that is striking back. Netflix (NFLX) quickly countered with a move that could potentially hurt Disney's ABC network. Netflix has signed Shonda Rhimes, the writer/creator responsible for mega hits "Grey's Anatomy," "Scandal" and "How to Get Away with Murder, to a multi-year deal. Terms of the Rhimes deal weren't disclosed. But it's reasonable to wonder if Netflix may need to boost its monthly subscription rate to help pay for this and other new programs. In its most recent quarterly earnings filing with the Securities and Exchange Commission, Netflix said that "we expect that from time to time the prices of our membership plans in each country may change." So another price hike in the U.S. seems unlikely anytime soon -- no matter how much Netflix is spending on "Shondaland" shows, a new Western from the Coen Brothers and other original programs. Netflix shares are still up about 40% this year. The company's market value is nearly $75 billion, making it worth more than traditional media companies Fox (FOXA), CBS (CBS) and Viacom (VIAB) and only slightly less than CNNMoney owner Time Warner (TWX). Though Netflix's cash levels are up in the past few months, it is also piling on more debt. The company finished the second quarter with $3.4 billion in long-term debt, up from $2.9 billion at the end of December. 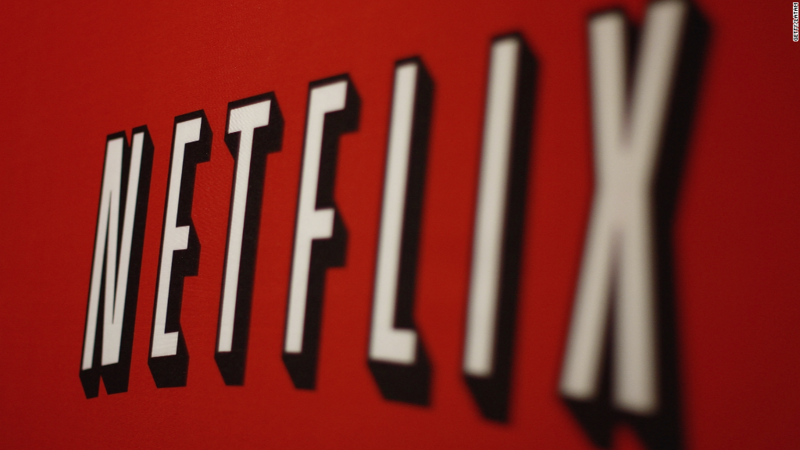 John Janedis, an analyst with Jefferies, said in a report that Netflix is "aggressively shifting to owned original content" and added that the company's recent deal to buy comic book publisher Millarworld "further exemplifies the importance of owned IP." Translation: Netflix will need to keep raising cash if it wants to still have hits once shows like "Orange is the New Black" and "House of Cards" finally end their runs.